Data and information are powerful tools for any business in their sustainability journey – they provide the hard facts and evidence that today’s shareholders, employees and customers are looking for. 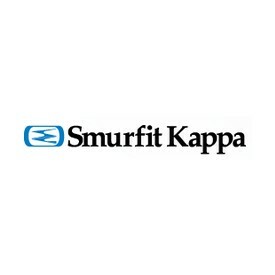 At Smurfit Kappa we rely heavily on natural and raw materials working hard to responsibly manage our supply chain. We believe in facts and evidence and that to really make sustainable progress, we need strong, reliable data. Ten years ago, we centralised the measurement and reporting of our sustainability activity so that all the results of the activity that was taking place across all locations were fed into a global database. This global data resource formed a solid foundation for the launch of our first Group sustainability report in 2007, and over the years lead to the development of our 2020 targets and goals. By carrying out a materiality analysis, we identified a number of areas to create ambitious targets - Forest, Climate Change, Water, Waste and People. Having just released our 10th annual sustainability report, we’re very pleased with the progress we’ve made and what’s been achieved so far. From cutting our CO₂ emissions by 22.9% (well on track to meet our 2020 target of 25%) through to achieving full chain-of-custody certification across our entire supply chain. Today over 90% of our products are FSC certified. With sustainable water management vital for our business we’ve also reached a reduction of 31.9% of relative Chemical Oxygen Demand (COD) discharge. At the same time we’ve continued to invest in world-class water treatment facilities. These are just a few of the milestones we’ve reached this year. Today sustainability is an explicit element of our business strategy. We see it as a key differentiator for our company and our customers. Looking ahead, and as we plan for the next decade, we are committed to finding new solutions to today’s sustainability challenges. Accurate data and reporting will be at the very heart of this. Steven Stoffer is group vice president of development at Smurfit Kappa.